In the travel business you are always planning in advance, and this is no different for Dan Ware at Toto Tours, who are set to celebrate 30 years of being in business next year. I had a chance to chat with Dan, and find out the secret to his success and to look back on 30 years of LGBT travel and what’s changed and what has stayed the same. Richard Jones: Dan it’s great to get some time to chat with you, especially when you travel so much for work. Toto Tours will be 30 years old next year!!! That’s truly amazing for any business. Tell me what you think has been the key to last for 30 years. Involvement (fostering group dynamics that truly connect people and create friends for life). My goals are to show you the most amazing sights wherever we go, create a safe environment in which each participant can expand perceptions, evolve their understandings, and have truly life-changing experiences. It happens all the time, and once you have felt this magic you want to come back for more! RJ: So when you created Toto, what were the decisions to create an LGBT focused travel business? DW: In 1990 I was at a crossroads. It was a difficult point in my life where I had lost family, friends, and career — all because of my coming-out process. I was forced to literally change everything to live openly as the man that I am. So it hit me — if being a member of this community is so vital to me that I would give up everything for it, why not devote my life to serving it? I read a book called “Do What You Love, and the Money Will Follow” and the insights from Marsha Sinetar, the author, initiated the thought processes that eventually led to my decision to start an adventure travel company for the gay community. I am definitely doing what I love with the people I love! RJ: And where were LGBT people traveling to in the early 1990’s? DW: The concept of global adventure travel was just emerging in the gay community. There was only one other company offering anything like what I envisioned. For the most part, gay people were frequenting the legendary “gay” tourist spots where we could feel comfortable being ourselves — Provincetown, Key West, San Francisco, Puerto Vallarta, Mykonos, Bangkok and the like. My idea was to open up the entire world as an available playground where we could travel together in comfort and safety. We pioneered tours to Costa Rica when that was still a relatively unknown destination. We chartered tall-mast sailing ships where we got to be part of the crew. We went horseback riding in the Canadian Rockies and camping in Alaska. Rafting the Colorado River through the Grand Canyon was a big part of our early business. We introduced these experiences and they caught on rapidly. RJ: What are the significant changes you have seen over that time in terms of destinations, have there been destinations that have been in and out of fashion and perhaps come back in? DW: Perhaps one of the biggest changes over time has been the broadening of horizons eastward from the traditional European destinations. Italy will always be a huge draw, but as the dollar sank in value against the Euro we began exploring further east. Croatia is a lot like Italy, but a lot less expensive. Then we began exploring the Balkan countries that came into being after the breakup of Yugoslavia and discovered incredible delights. Albania, Macedonia, and Kosovo are amazing, and we’ll be revisiting them in our 30th year. Asia developed into a huge part of our business, with tours to Vietnam, Cambodia, China, Bhutan, Nepal, Tibet. 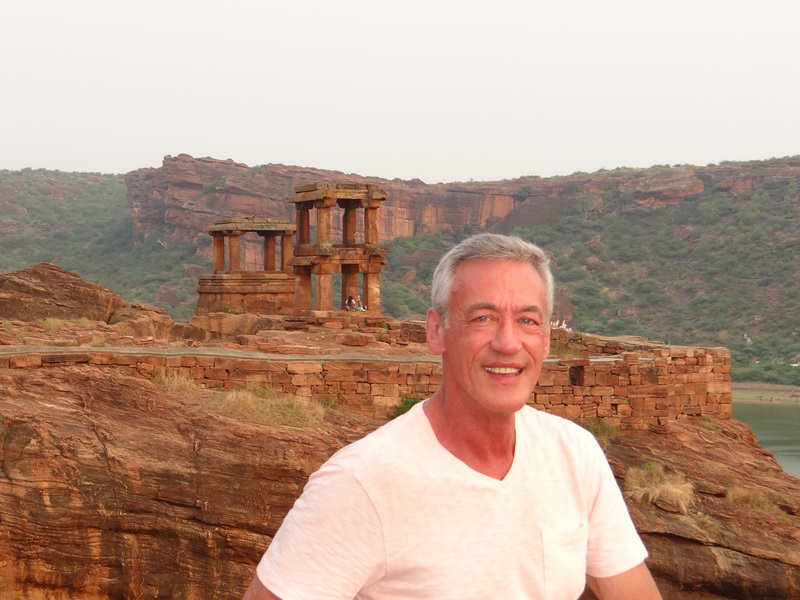 Once we discovered India we fell totally head-over-heels in love with the culture and the people. We go back to India, again and again, to explore every region in depth. Each area of India is like a world unto itself! Gay people are travel junkies, and we are always searching out new destinations to fulfill those longings for something new and exciting to see and do. RJ: What have been the highlights for you? DW: I can close my eyes and rewind to so many places around the planet where a high-point was deeply imprinted in my memory — our group holding hands on the beach on Maui watching whales breaching in the light of the setting sun, the first sight of the Taj Mahal, riding camels across the desert at the pyramids of Egypt, sitting at the feet of a Buddhist monk in a monastery in Bhutan and learning to chant, climbing on an unrestored portion of the Great Wall of China, seeing the vastness of Gobi Desert in Mongolia, experiencing the eerie silence of Antarctica, and being stunned by what is surely the most beautiful place on earth — New Zealand. I could go on and on about the high points of our travels in terms of sights and experiences, but these all pale in comparison to the personal satisfaction I get from knowing how much this work I have chosen to dedicate my life to has changed the lives of others. When I see a group of friends who met each other on a tour in Costa Rica in 1997 return to experience Naples, the Amalfi Coast, and Capri with me in 2018 — those are friendships that formed on tour and have endured for more than 20 years! A couple met on a rafting tour in the Grand Canyon, living on opposite sides of the country. They are now happily married for more than 2 decades! Another couple met on a tour in Costa Rica and recently traveled with Toto Tours to Antarctica. Just a few days ago a travel associate from the early years of the business came to Chicago and related, with tears in his eyes, how a moment on a tall-ship adventure in the Caribbean when he climbed to the top of one of the masts while we were underway gave him the courage to go on living through what was a very dark period of his life. He had never felt so alive in every fiber of his being! These stories and many more are all the evidence I need to be convinced that I made the right decision back in 1990 to start Toto Tours. RJ: And what has surprised you the most? DW: Well, how can I say this diplomatically? I suppose our community is known for being somewhat…um…demanding. What has really been a delightful surprise to me over the years is how we can also pull together and support each other when things go a little off the rails – like they can do when you are on an adventure. Imagine being stuck in the mud in the Serengeti in Tanzania, with lions roaming nearby and vultures circling, and night coming on and no rescue in sight! Bad weather cancels a ferry from Morocco to Spain. Flights get canceled at the last minute. A hotel room is a closet compared to others. The drive in India is already long and dusty, and one more cow causes a traffic jam. There is something about the camaraderie of gay travel that actually elevates what was considered a disaster in the moment to one of the most memorable parts of an adventure. My nerves would have been totally shot long ago if we didn’t have some of the most wonderful and caring people in our groups. This is one of the hallmarks of Toto Tours – we attract people who bond as a family and look after each other in all circumstances. RJ: As you look to 2020 where are the main destinations that Toto will be going? DW: I don’t want to bore everyone with a list of all the destinations, but suffice it to say that we will be repeating some of our favorite tours — particularly Egypt and New Zealand. If you would like a look at the full list you can read it here on our newsletter. Or head to our website www.tototours.com for info too. The one tour we have designated as our official anniversary tour is to Tahiti at the end of October 2020. My husband and I look forward to welcoming new and returning friends to explore a new destination with us during a week in Paradise! RJ: And where do you go to to take a break? DW: As you can imagine, when you travel for a living the idea of taking a trip on your downtime isn’t quite as appealing. I love nothing more than staying home for a few weeks, working out at the gym, hanging out with friends and curling up with our cats at night. I am so fortunate to have a husband who gives me the freedom to roam, and who nurtures me back to strength when I come dragging home. For a short get-away we like to rent a cabin on a lake in nearby Wisconsin or drive to a National Park for hiking in nature. I am blessed with two grown children and two grandsons, who happen to live in Shanghai, so I travel to see them at least once a year and that is truly rejuvenating. RJ: Any top tips for LGBT travelers? DW: Let me just re-emphasize what everyone knows to be true: You get what you pay for! There is a lot of discussion about the “Gay Tax” on traveling with an affinity group such as ours. We get compared to other commercially available tours of similar destinations, and you can almost always find something less expensive. But you have to ask yourself what you are giving up to save a little money. We provide an exceptional experience with a small group of like-minded travelers managed by professionals with decades of experience. What is it worth to you to have an adventure that will be life-changing? I encourage you to branch out and try something totally different from your usual vacation. There is a wide and wonderful world out there, and we are ready to share it with you! RJ: What do you think will change about travel as we go into the 2020’s? DW: We keep hearing about these crazy despotic regimes (think Sultan of Brunei or Chechnya) who despise gay people and want to do bad things to us. Uganda is improving, thanks to local activists. Kenya and Tanzania are getting negative attention for their policies and will come around. India recently decriminalized homosexuality. When gay groups travel around the world we have an impact on the ideas and attitudes of the people we encounter during our travels who may have limited exposure to people like us. We become ambassadors for the concepts of love and tolerance and equality. At Toto Tours, we do not allow the swings of the pendulum between acceptance and rejection in any country to deter us from visiting unless there is a clear and present danger to our safety. For example, we wouldn’t set foot in Brunei, but we have a sold-out group crossing Siberia by train this fall, and Russia is a country which is notable for discrimination against gay people. We believe we can make a difference in the world by showing up and exemplifying our wonderful qualities of camaraderie and good will toward all. We see a rosy future for gay travel and hope to celebrate our 30th anniversary with you somewhere in this wonderful world in 2020!